As a founder, product lead at Pinterest and PM for a couple products at Google, as well as a growth partner for Initialized Capital, I’ve seen many product teams struggle to grow. Many products start out with a bang. Some find product-market fit with sustained growth. A few have gone through spurts of hyper-growth. But more often than not, I’ve seen most of them linger then fizzle. Throughout these experiences, I have noticed a common pattern that almost every startup founder falls into as they begin this journey. Founders launch their product, wonder why it isn’t growing like gangbusters and then immediately try to fix their growth problem. They turn to growth tactics like optimizing their on-boarding funnel, SEO or push notifications before really understanding what they are building and who they are building for. This may create an initial burst of short-term growth. But it ultimately leads to high churn of your possible customers, while ignoring problems in the core product. Many startups build a product without knowing what path they want their users to go down. If you look up the phrase “Critical User Journey,” you’ll find a plethora of UX frameworks and user maps. These are great, but can be overwhelming and daunting. Early startups should start simple and make sure they know the optimal journey they want their product to fulfill for the user. Your Critical User Journey should focus on a single use case with a specific goal and include the surrounding context for the user. For example, one of the journeys that Pinterest is focused on is helping a user find ideas around their own personal style. A Pinterest user typically starts from browsing a large visual catalog of style ideas, and then progresses to discovering the right looks that fit their own style. Then Pinterest allows users to curate their own look books, style boards and eventually make it seamless to buy those looks, whether that’s directly on Pinterest or through a deep link to the merchant. The happy case is that the whole journey is completed on Pinterest. Now Pinterest has grown over the years to become a large company and fulfills multiple user journeys. Founders starting out need to have clarity on the specific ‘Critical User Journey’ they are fulfilling. Then they need to understand how their product helps users along each step of that journey. Once founders have a crafted a user journey, they need to be ruthless and specific on how they measure it. All successful startups have a plethora of top-line metrics (or KPIs) they measure and there are many great tools to help visualize this. 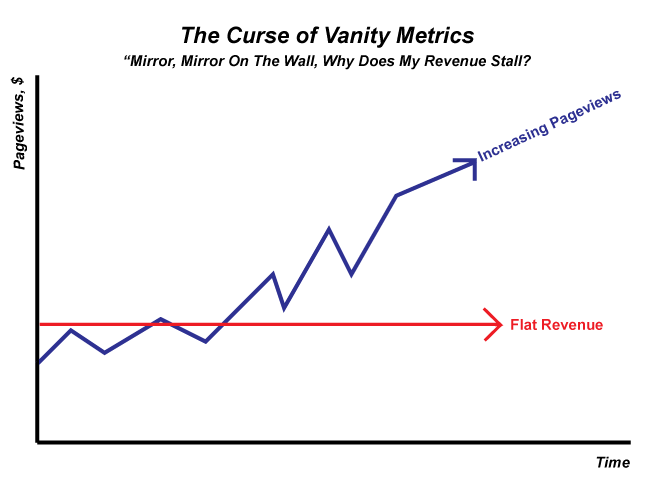 For startups just starting out, it’s very easy to fall into choosing vanity metrics like MAU (Monthly Active Users) or a sum total measurement metric that looks like it is growing and lose sight of what is actually happening. Instead, early startups should start with actionable top-line metrics to measure each step of the Journey. Start with two metrics: One user acquisition metric at the top of the funnel that measures how many new users are signing up and taking their first action. And then one user engagement metric further down the funnel that measures how often these new users engage with the product over time. Together, these two metrics define a product’s activation rate in how it graduates new users into becoming active users. From here you can add additional top-line metrics that are specific to your product and user journey. The more specific top-line metrics are to a product’s user journey, the better they are at helping startups make decisions. For example on Google Assistant, we measure user activation based on the user making at least one successful query that day on a specific surface (i.e. Pixel phone) in a specific country (i.e. U.K.) using a specific feature (i.e. Ask about “My Day”) within their first two weeks. Identify ‘product levers’ that help move users along their journey. Many startups chose top-line metrics but are not able to directly move any of them in a measurable and systematic way through projects and work streams. Having numbers to measure is only good if you know how to move them with the right product levers. A product lever is something that is moveable and measurable that connects projects your team is working on on to top-line metrics that you care about. For example, one of Initialized Capital’s portfolio companies I worked closely with chose the top-line metric ‘L7 Engagement,’ or the number of days a user has been active on the product during the last seven days). They chose the primary product lever to drive this as “Additional Actions taken per User.” They narrowed down the projects they were working on to only ones that drove additional actions per user (such as showing more in-line suggestions, creating off product promotions, sending contextual follow-up notifications, etc.) and cut the ones that didn’t. They saw their L7 Engagement rate turn around after a few experiment cycles and they expanded their focus to an additional product lever to drive L7 Engagement. Don’t add so many features that the ‘Critical User Journey’ becomes obscured. Another common pitfall all founders are pulled into is to “fix” growth by adding more and more to your product to “see what sticks.” Growth by product addition is hard to measure and rarely scalable. For example, I worked with one portfolio company that had a great product serving a user need. They were driving a meaningful metric yet they were seeing stagnant month-over-month growth. Upon looking closer, we saw that they had built multiple convoluted activation flows on top of each other. Each flow they released showed slight overall gains, so they kept going and building more flows on top of each other. Soon enough, they couldn’t tell which flow was directly responsible for retaining or losing users. 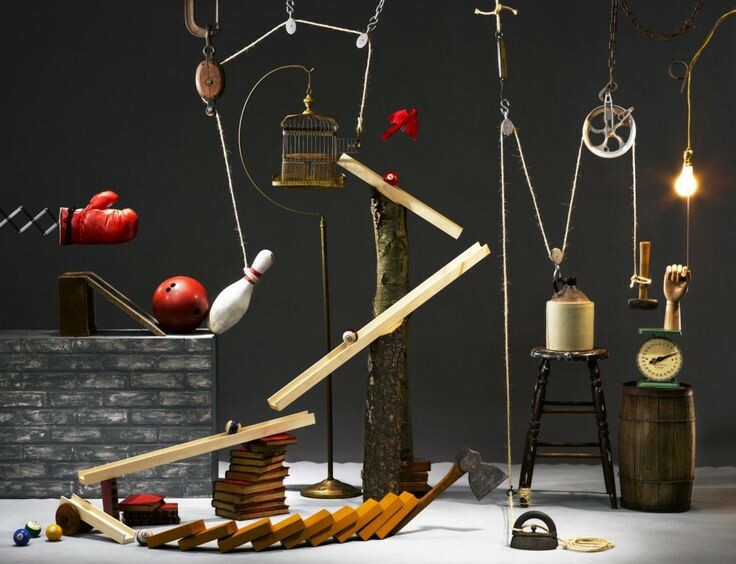 Their product became a Rube Goldberg machine spitting out one user at a time. Once we simplified the product down to one activation pathway with each flow directly moving a specific product lever, their conversion rates went way up. This was mostly because their product became simpler. It was easier for users to understand and easier for the company to see what was going when users got stuck. Taking a step back to simplify and focus freed the product to grow. Let your most engaged users show you the way. This one may seem obvious, but sometimes users have done the hard work for you. Startups should look at their most engaged users and deeply understand the actions and pathways they took to get there. Find a cohort of your most engaged users and look backwards. Identify what actions they took the first day, the week, the first month, and subsequent time periods to get to their state. Identify these actions as pivotal moments you want new or casual users to take at each step of the journey. For example, if taking four actions in the first week led users to be more engaged the second week, prioritize these actions for new users in their first week over anything else. Create engagement loops around these actions to encourage users to continue down the pathway to take another action after completing a previous action. And of course, measure and monitor how many users are taking these actions at each step of the journey to see the holistic engagement picture of your product. If you know exactly what actions and steps your best users took, you should try to replicate their journey for others. Defining one ‘Critical User Journey’ for your product is a start and will serve as an early guide to define metrics, clarify what users need to do at every step, and help prioritize the right product levers to create sustainable growth. When you are ready, this framework can expand to several user journeys that either deepen engagement of existing users or broaden use cases to reach new sets of users. Thanks to Kim-Mai Cutler and Jen Wolf.